Intro to Barbershop: Have fun singing casual harmony! Most folks come into barbershopping by way of singing in a chapter chorus. Starting with a written arrangement and maybe a learning track, you study and rehearse the chorus repertoire for contests and shows. 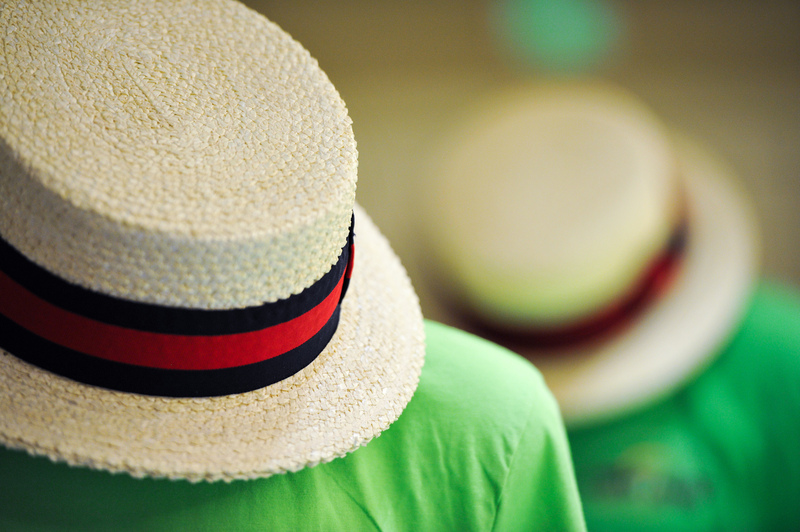 But there’s a world of fun in more casual settings: singing tags, woodshedding and attending quartet Brigade events. 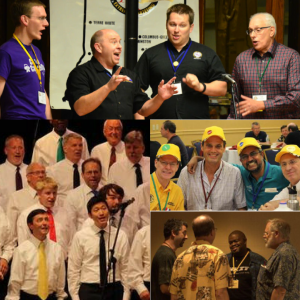 These are all great ways to meet new friends in barbershop, explore new music and other voice parts, and maybe even put together your next quartet. 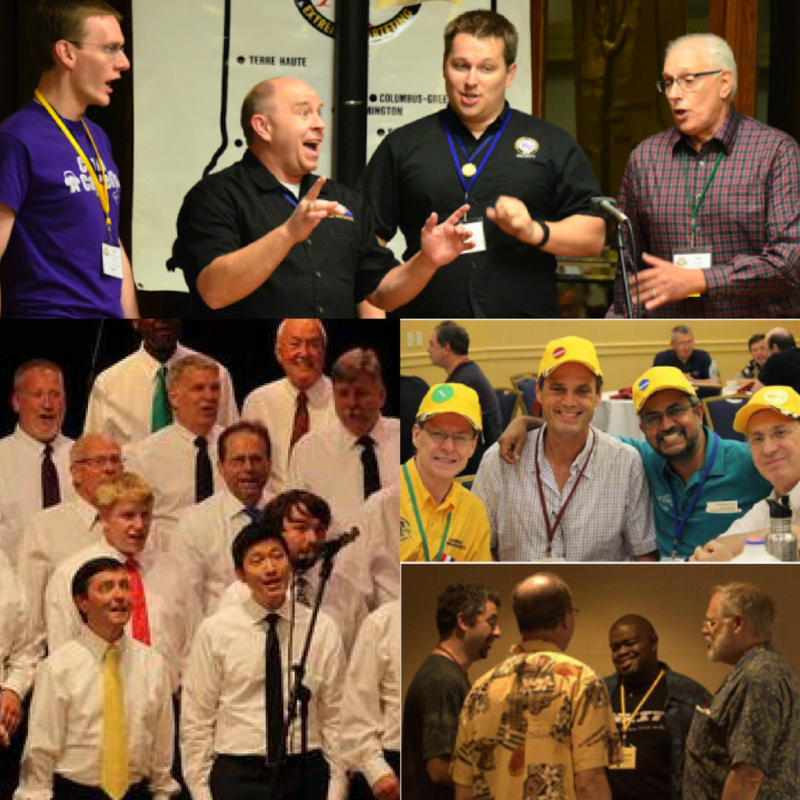 Exploring casual harmony makes you a free agent, able to have fun singing barbershop anywhere, anytime, whether you’re with your chorus pals or not. Learn to sing a tag-- A few quick bars of music that you can learn or teach in minutes, then share with complete strangers. Learn to woodshed-- Make up harmony on the fly, without written music. 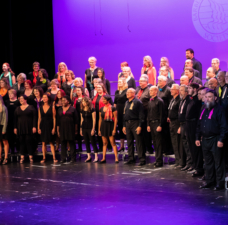 Attend a Harmony Brigade event-- Learn a few songs, show up at a specific date and place, and start mixing and matching with as many different combinations as possible! Tags are the last few bars of a song -- the coda, the wrap-up, the big finish. 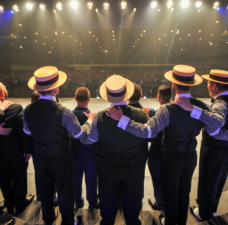 Tags usually contain juicy, satisfying chords that allow singers to soak in the satisfaction of quickly sharing the well-tuned, ringing sound of barbershop harmony. The joy of tags is living in the moment -- experimentation, learning the notes by ear, and then locking a chord with complete strangers or old friends. Tags vary in complexity -- Some are simple “hangers,” in which one voice part “posts” a single note for a sustained time, while the other three weave harmonies around it. These can usually can be taught in under a minute. On the other end of the spectrum are complex head-scratchers that yield glorious, lush sounds and are nearly full songs in themselves. 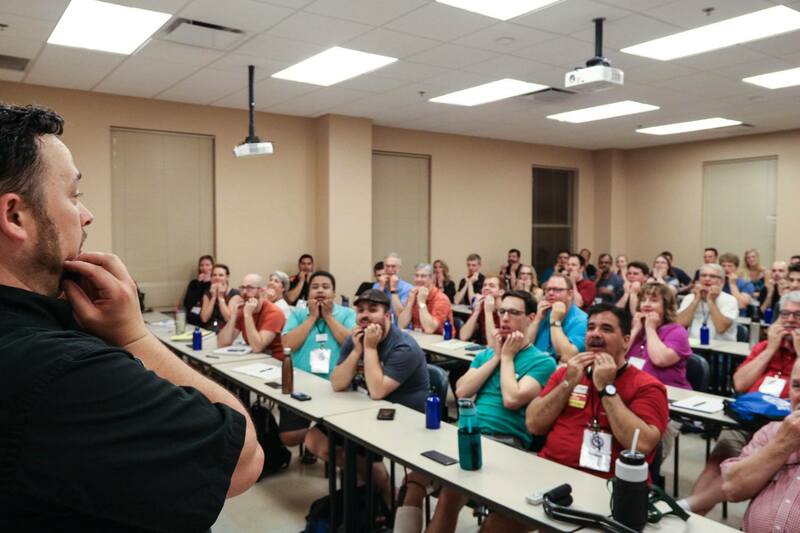 Tag singing culture is everywhere -- in chapter meetings, afterglows, at conventions, special “tag parties” arranged by devotees, and in almost every barbershop school or event. You’ll spot a “tagmaster” quickly: they're the person with people constantly milling about, listening in, asking for another one. Be that person, and you’ll never lack friends. One of the unique pleasures of tag-singing is the tradition of teaching tags by rote, without sheet music. There’s a special magic in using only ears to learn, hearing the chords come together one part at a time, then suddenly -- 4-part harmony! Don’t fifth wheel. Let a quartet be a quartet -- four singers only. Don’t start singing along unasked. Listen, learn one of the parts, and wait your turn to ask if you can try it, too. Be generous with tags - ask others to join in. The flip side to the first rule; when you see someone hoping to sing, invite them to take a part in the quartet. Be patient as a teacher, attentive as a learner. The great tagmasters recognize the skill level of the folks around them, and pick tags suited to their ability. Learn a few tags that you can teach all four parts by rote. The more you can teach, the more you can sing. Change parts. The more parts you can sing, the easier it is to sing and learn tags with strangers. Learn some quick tags and download a book of Classic Tags from our web site. Woodshedding was the true beginning of the barbershop style. A lead singer would sing a melody, and the harmony parts -- what evolved into the bass, bari, and barbershop tenor -- would “discover harmonies by ear” around that melody without reference to a familiar or written arrangement. As the style grew and was codified in the “modern” (post-1940) era, written arrangements became the norm, and the practice of this kind of casual improvisation diminished. But that tentative searching for “one more great chord” in a vocal jam session is still alive and well among barbershop woodshedders. 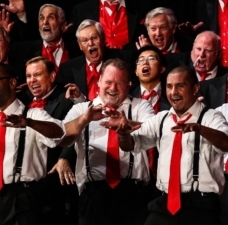 As you grow in familiarity with common barbershop harmonic styles, your ear will guide you toward “what sounds good” in making up harmonies on the fly. Woodshedding is not a spectator sport, so be fearless. Because every woodshed song is an experiment, a fleeting moment, don’t worry about what any listeners think -- this is strictly for the quartet singers themselves. Find a private place, and go nuts. There are no bad chords, just some more pleasing than others. The only rule of woodshedding is to enjoy. Perfection is secondary to experience. Listen to the lead/melody; aim for four-part chords; avoid doubling; and if you don’t have to move off your note, stay there. 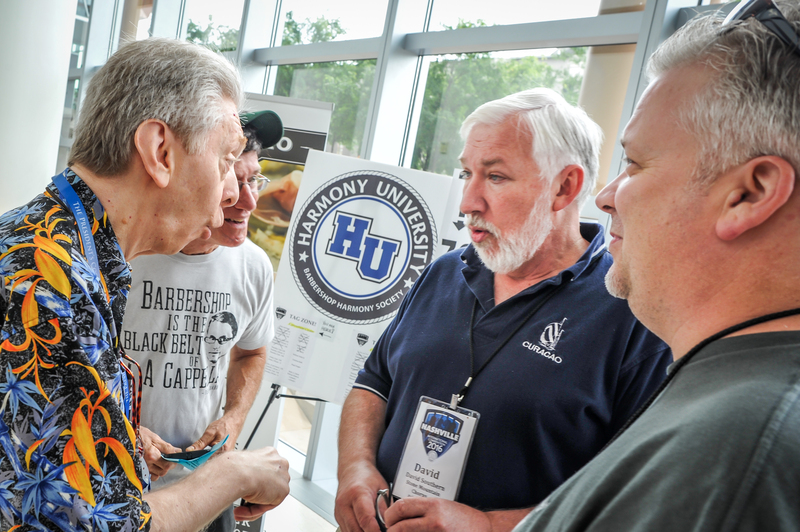 Barbershop singing is made up of four harmonic lines, so if know what your part “usually” does in basic harmony, do that. 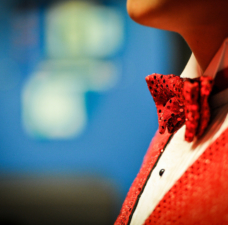 The more barbershop you hear, the more you will absorb the common structures and progressions of your voice part. Be gracious, be happy, and be ready to move on. Here is a lengthy and thorough discussion about woodshedding from Phil Richards (http://philrichards.net/ahsow/parts.PDF) that you may find interesting. What is a Harmony Brigade? Somewhere between the formal, continuing structure of singing in a chorus or an organized quartet, and the free-for-all of pickup tag singing and woodshedding, lies the Harmony Brigade, the eXtreme Quartetting experience. Brigades are invitation-only, semi-auditioned events for capable quartetters who want to sing at a high level in many combinations over a weekend. Several months prior to a Brigade event, singers receive sheet music and high-quality learning tracks for eight to twelve songs to be sung throughout the weekend. 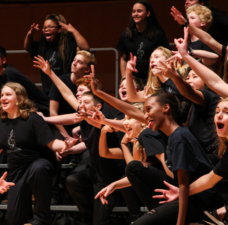 Participants count on each other to be 100% prepared, with all the notes, words, and interpretations fully memorized, so that everyone can leap right into mixing and matching as many different quartet combinations as possible. It’s a little like wanting to jog with athletes of similar speed and endurance as your own; more fun to run side by side than waiting for the slowest or panting to keep up with the fastest. Brigade activities typically include lots of informal singing in quartets, a random draw quartet contest, a show for the public, great food, and good camaraderie. All attendees also sing in the Brigade Chorus and present a public show. Some Brigades reach out into the communities with educational demonstrations and performances, as well. There are 11 active Harmony Brigades in the world, each meeting in different locations at different times of the year. You can attend a Brigade Rally in any location. Each Harmony Brigade has its own application process and selection criteria. There is also a Women's Harmony Brigade that meets annually - more information can be found here. Visit each Brigade's individual website (accessible from this site's home page) for details on application procedures, costs, locations and dates.